Experience nature at its finest and explore the many trails within Lighthouse Park. 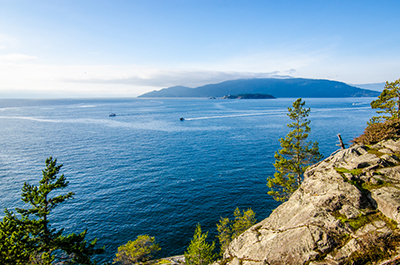 Experience some of the best views West Vancouver has to offer! Everywhere you turn there's incredible natural beauty in Lighthouse Park. Lighthouse Park located in West Vancouver British Columbia is one of the most amazing scenic parks you will see on the West Coast. Walk through acres of first-growth douglas firs and stand next to trees that are considered to be giants. There's plenty of activities for all ages at Lighthouse Park. Experience nature at its finest and explore the many trails within Lighthouse Park! Lighthouse Park has several amenities available to the public. Read reviews from other travelers and locals about Lighthouse Park. Lighthouse Park has plenty of trails to explore with various levels of difficulty. Most are within the forest canopy and some follow the coastline.